T shirts are in! They are $20 for both mens and womens and available immediately at the gym. There will be an order link up on the left shortly. We’ve got some stickers in the works too! We will be hosting a yoga session at 6pm this Friday Rest day. Logan is our first On Ramp graduate and has promised to make it as Crossfit-esque as possible! Bring a mat if you have one. All other classes will remain the same for that day. Only a couple days left to sign up at the discounted rates! Regular rates will be applied after November 1st. Anyone that is a current member, or signs up prior to the first, will be locked in as foundational members for life! 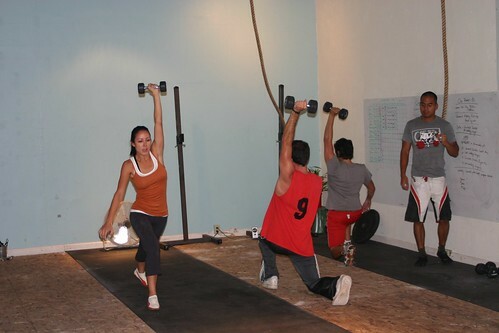 Sunday WOD at 10am if you’re interested! Planning on going up the coast to Point Dume for some climbing and then some food at my old restaurant Neptunes Net. Depending on time and conditions, there may be a hike into the famous Grotto or a little surfing as well. Anyone is welcome, so let me know!